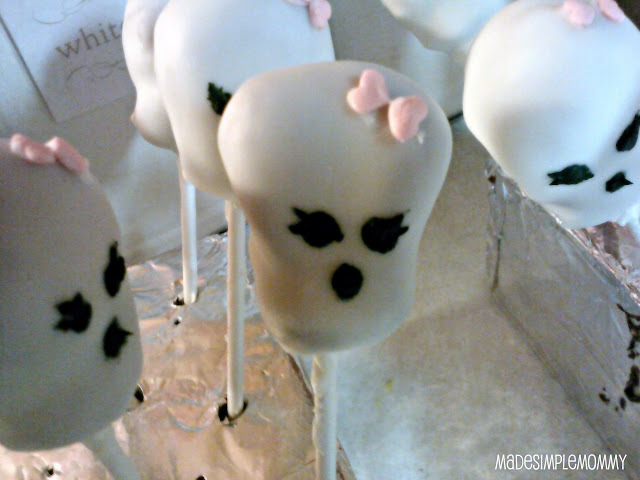 I posted a Monster High Topsy Turvy cake the other day, and along with the cake they had also requested cake pops. 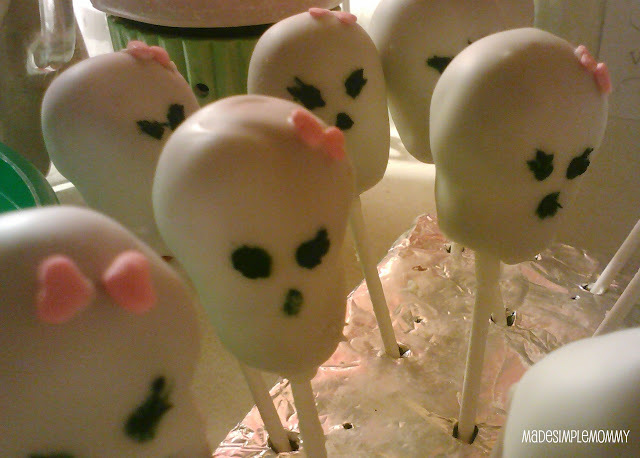 Monster High Skullette shaped cake pops to be exact. Okay, so if you haven't made cake pops or balls before, it is very simple! Bake your favorite cake...these are a variety of red velvet, strawberry and white. Crumble it into a large bowl. Mix in your favorite frosting, I typically use buttercream frosting. Mix until it all sticks together. 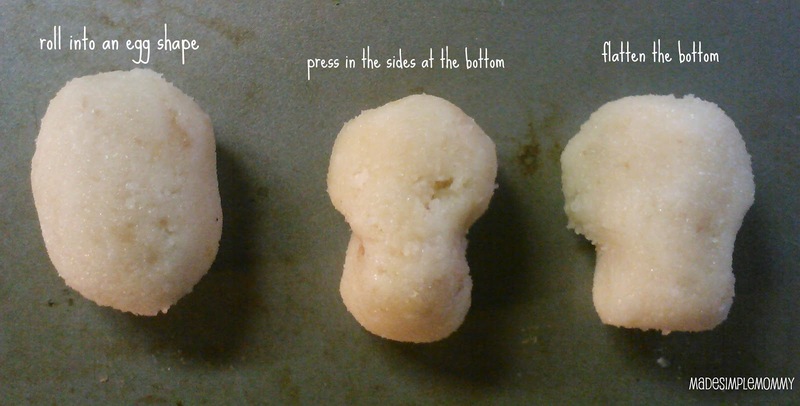 Form into balls. Chill. Dip. I then stuck the stick in each pop at this point and stuck the tray into the freezer. Typically I've always added the stick in before dipping with some of the candy melt, but decided to try it this way and it worked out well! 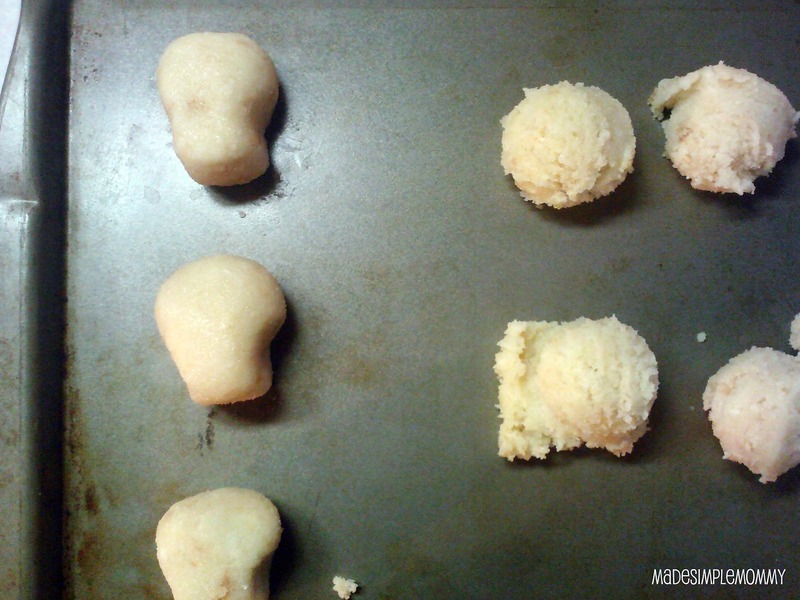 I used a medium-sized cookie scoop to get pretty uniform sized cake pops. After I let the cake pops freeze for about 4 hours, I removed one at a time and dipped into freshly melted almond bark, since they needed to be white. I melted 2 squares at a times for about a minute each. Keeping them cold just until dipping was important for keeping the shape of these pops. After dipping them, lightly tap to get off the excess bark and to coat around the base of the stick going into the pop. Then I put the stick into a styrofoam block to dry. The almond bark dries very quickly, so trying to work just as quickly, I placed 2 pink heart sprinkles towards the left side of the head to create the Skullette's hair bow. Sometimes I didn't work quick enough and had to dip the sprinkle into a bit of the almond bark to get it to stick. I wanted to use a food writer to draw on the eyes and the nose, but none of them seemed to work well. My next option was a tube of decorating icing. These seem to dry stiffer than homemade frosting, and it won't break off from the almond bark. So giving it my best shot I dabbed on some dots for the eyes and nose, and used a toothpick to make the eyelashes. Monster High Skullette cake pops! 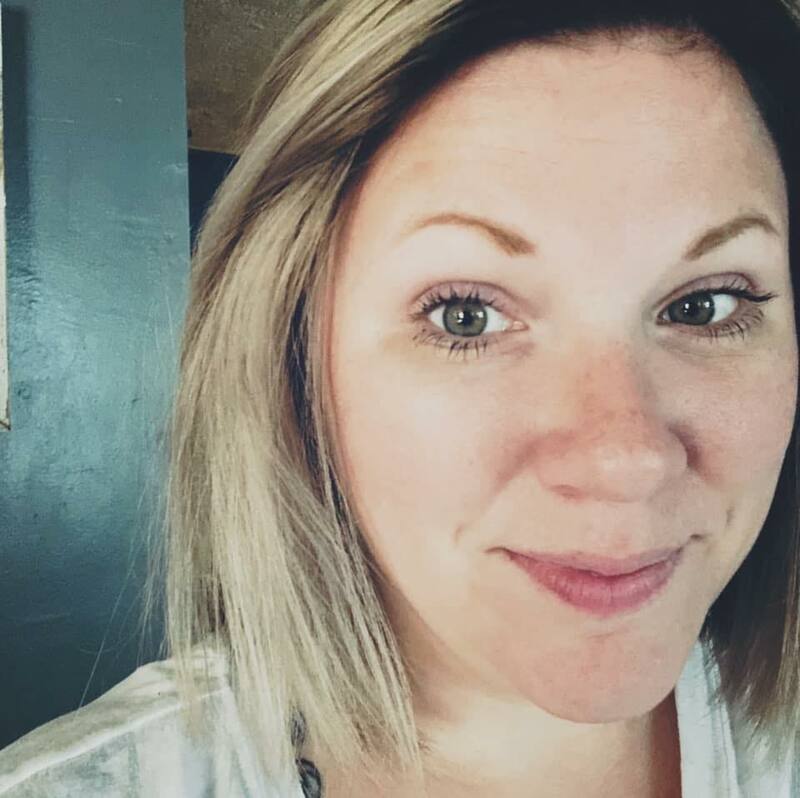 I hope yours turn out wonderful!